A set of 6 champagne flutes ideal for anyone who loves prosecco cava or champagne the Set of 6 Ribbed Glass Champagne Flutes will be a statement edition to your drinks cabinet. Sold in a set of 6, the ribbed flutes feature a short stem and large ribbed glass top. Each glass measures 18cm in height x 7cm in diameter. 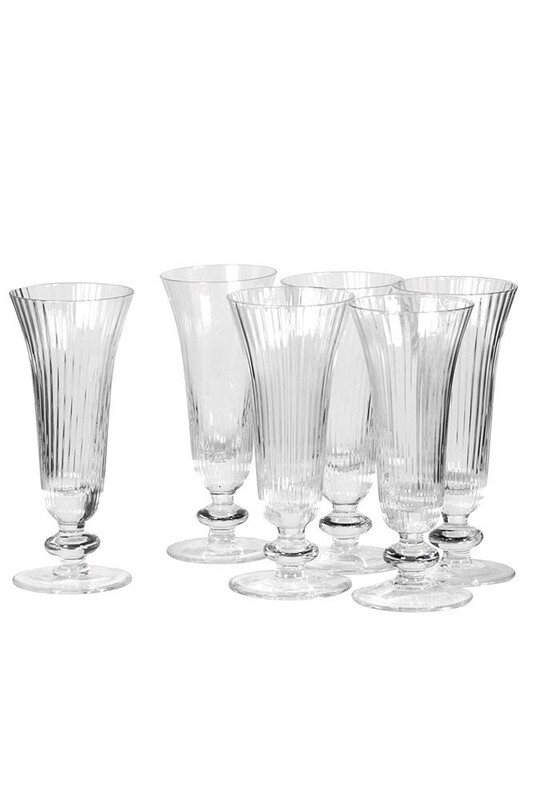 The ribbed glass champagne flutes are also available as a set of 6 ribbed glass wine glasses. 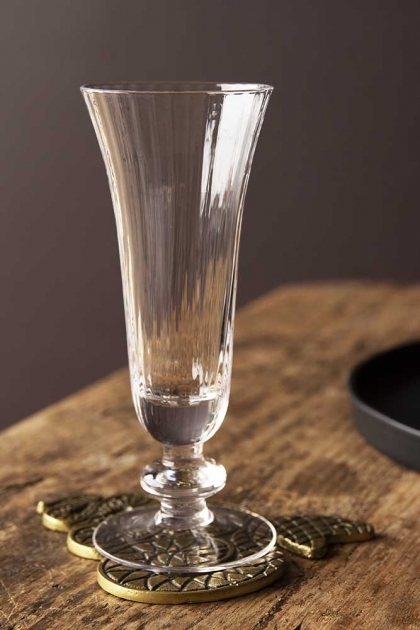 If you love traditional or vintage champagne glasses then we think that you will love this set of ribbed wine glasses. 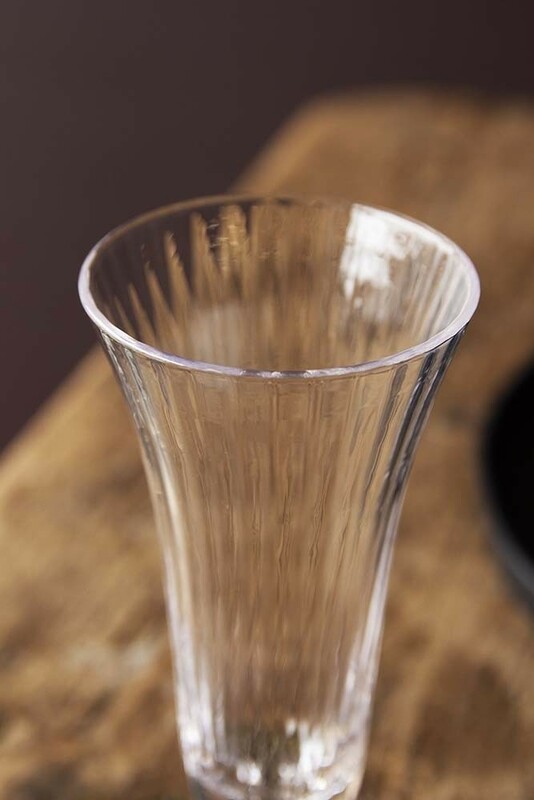 Reminding us of another era, the beautiful glasses would make a great addition to your dining tables, drinks cabinets and drinks trolleys creating a sense of occasion every time that you use them. Beautiful glassware like this set of Ribbed Champagne Flutes ought to be shown off in style, so here are our top 3 tips for creating an insta-worthy tablescape. 1. Set the scene with a beautiful tablecloth or placemat. It acts as the foundation of your table display and can really help to set the tone when entertaining. We have some lovely linen tablecloths and quirky beaded tablemats that you should check out. 2.Build your table from the centre outwards. Create an exciting and imaginative centrepiece using quirky vases, candles, tealights and greenery. 3. Lighting… and lots of it! Weave fairy light chains down the table and light plenty of candles to set the mood. The twinkling lights will make your new glassware glow against the light.